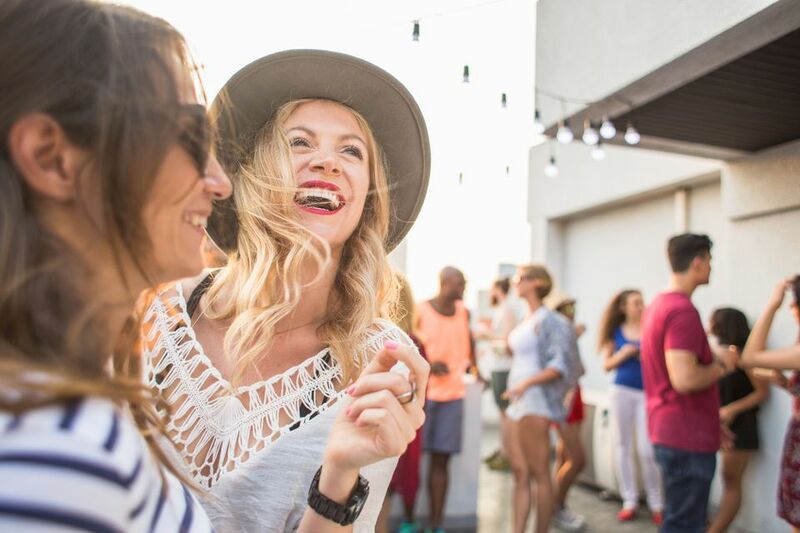 Throwing a summer party does not necessarily mean you have to spend a lot of money. There are thrifty solutions to planning a summer gathering that allow for both fun and savings. Summer activities can often be expensive and cost you time. Planning a party in advance can help curb additional financial burdens. Here are some party theme ideas that are budget-friendly and celebrate sun, water, good food, great weather and best friends. Hot dogs are a relatively inexpensive food. You can buy them in bulk and most people love a summer hot dog. Paired with a soft bun and toppings like chopped onions, tomatoes, relish, pickles, yellow mustard, guacamole and shredded cheese–guests have options to create their version of the perfect hot dog. When the weather heats up, guests often lose their appetite to indulge in heavy foods. Tapas are a great option for saving money when hosting a party. By definition, tapas are smaller portions for sharing. For a host this means less prep and spending on food. Take your party to the beach for a change in scene. Pay a small parking fee of $10 and pack a cooler with drinks and snacks–the beach will do the rest of the work for you. Enjoy the time near water and sand while staying on budget for summer fun. Nothing says summer like creamy soft serve ice cream. Throw a party celebrating the warm weather treat. An ice cream sundae party requires an extensive list of toppings. To help simplify, choose a vanilla or chocolate base then build from there. Sprinkles, fruit, fudge and candy are fun topping options to start. A backyard movie night is a great alternative to spending money at the movie theaters in the summer. Skip the pricey popcorn, soft drinks and candy for your own at-home theater. Enjoy a beautiful summer night and your favorite film in the comfort of your own backyard. Bonus points if there is a pool involved. For night time fun consider a s'mores and campfire party. This party theme is super low cost and perfect for entertaining on a budget. Ultimately you will only need a campfire, s'mores materials and drinks to wash it all down. If you don't already have a backyard fire pit, consider DIY'ing one for cheap–it will last you years to come! Water parks are a source of endless summer fun. They are also costly and an easy way to spend a lot of money in a day. An alternative idea is to bring the waterpark to your home. You would be surprised how many options a hose can provide with the right add-ons. Pineapples, tiki torches and leis are the basic ingredients for a tropical Hawaiian Luau theme. It's always fun to pretend you are on a tropical getaway when you are working on a budget. Keep decor simple but to the point to save on costs. Only consider the essentials. Tiki drinks and luau party favors will keep the party going into the night. A farmer's market theme is a sweet way to celebrate the bounty of the season. A way to cut costs is to plan your party in a park near the market. Parks offer ample space for groups to stretch out and enjoy the nice day. No need to create your own market at home because most parks have their own market already set up. A pool party can be at your home, a friend's home or a nearby community pool. All three are affordable options for summer entertaining. Pack light snacks or fire up the grill for this summer party idea. Splurge on a couple inflatables for fun photo opportunities. Watermelon is a great summer accessory. Not only is the fruit refreshing and hydrating on the hottest days of the year but it's also great for party decor. Watermelon shaped paper plates, blankets and desserts are a fun and inexpensive way to celebrate the season. Tacos are a cost effective option for serving large groups of people while entertaining. A taco bar with all the toppings is easy and a lot of fun. Dining al fresco requires simple food with a delicious taste that is easy to serve–tacos cover all these bases. Summer has an abundance of delicious stone fruits that make tasty, sweet pies. Peaches and plums are ready to be made into pie along with classics berry favorites such as strawberry and blueberry. Have your friends over to make the pies together or to sample every flavor in the sunshine.